GPRO Valparaiso Palace and Spa is located in Palma and offers beautiful surroundings and luxurious facilities, perfect for couples wanting to enjoy a relaxing escape in Mallorca. There are two outdoor swimming pools to choose from, surrounded by the luscious hotel gardens, sun terraces, and loungers. The rooftop pool is perfect for those wanting to soak up the sun, while the spa is the perfect place to fully immerse yourself in the tranquillity of the hotel. The rooms are tastefully decorated and offer beautiful views of the gardens and city, with all the amenities you need to unwind. 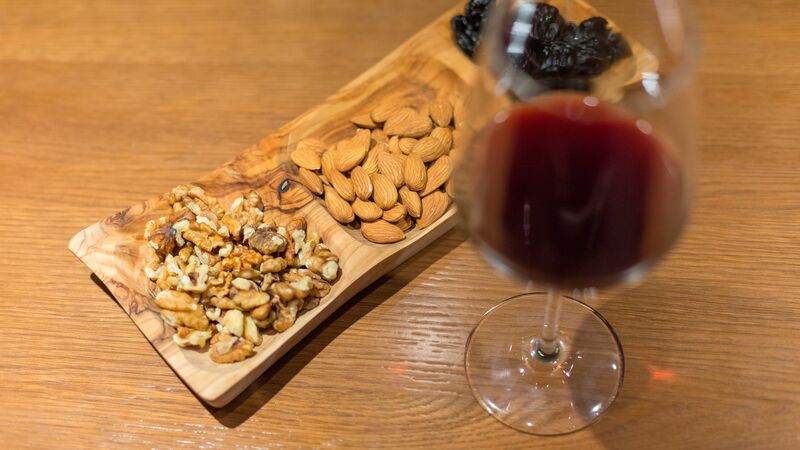 Choose from authentic Mediterranean dishes in the hotel’s restaurant, including seafood dishes, pasta, and salads, paired with a menu of delicious wines. In the evening there’s live music, while those wanting to keep active can try exercise classes or tennis. Sovereign does not accept children at this hotel, however this is not an adult-only property. This hotel is not suitable for guests with limited mobility. This elegant a la carte restaurant serves a range of authentic Mediterranean dishes, including pastas, salad and fresh seafood. Take in the modern Mediterranean décor and bright terrace area as you indulge in unique dishes serving a variety of international cuisines using fresh local ingredients. Choose from pastas, salads and succulent meat dishes. 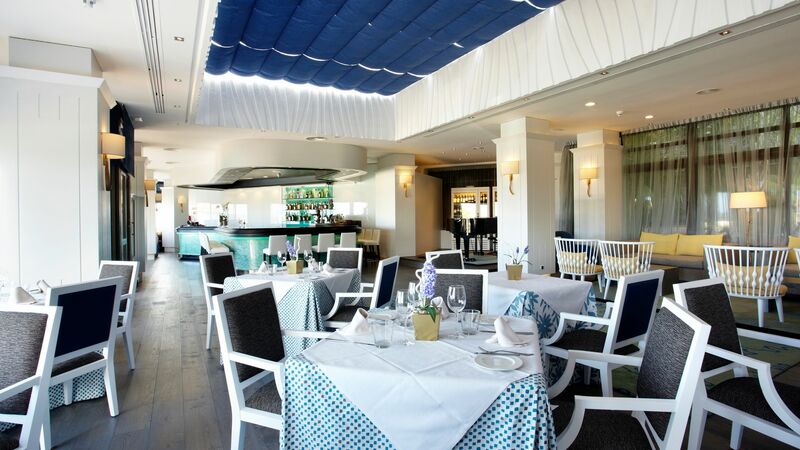 Located by the swimming pool enjoy fresh and healthy, light lunches with Mediterranean and international influences. There are two outdoor saltwater swimming pools to choose from at the GPRO Valparaiso Palace and Spa. The main pool is lagoon style and surrounded by sun loungers and terraces, and there’s also a rooftop pool. 11 treatment rooms allow you to relax with massages and other treatments. There’s also a relaxation room, gym, and water journey area. Local musicians sing, play the piano and the guitar as you relax with a cocktail or fine wine in the evenings. Sports classes, three paddle tennis courts and a tennis court offer the chance for guests to keep active during their stay. In a quiet area of the island’s capital, on the west coast of Majorca, Gpro Valparaiso Palace and Spa is ideal for those wanting to combine a beach break with city lights. Located close to the upmarket marina area, you’ll find plenty of opportunities to taste some of the island’s best cuisine, as well as enjoy cocktails and wines in the rooftop bars. 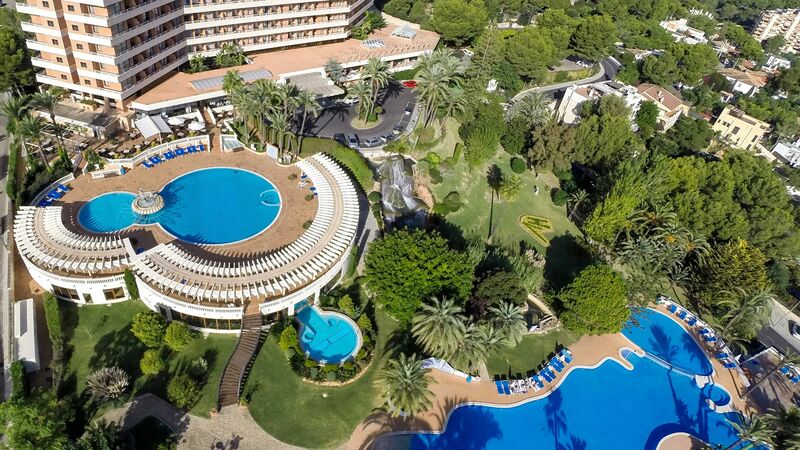 The hotel is close to Castell de Bellver, which is an ancient castle providing panoramic views from the top, as well as the golden sands of Cala Major Playa. Those wanting to try shopping will find boutiques and designer outlets in the centre of town, while families can enjoy boat trips, playgrounds and lots more. Palma’s cathedral and tapas bars are a must. Gpro Valparaiso Palace and Spa is a 20 minute drive from Palma de Mallorca Airport. Deluxe rooms have air conditioning, satellite TV, telephone, minibar, bathtub, shower, hairdryer and a balcony or terrace with views of Marivent Palace. Supreme rooms have exceptional views to the sea and Palma Bay. Junior Suites offer spectacular views and a spacious seating area. Suites feature a bedroom, living area and luxurious bathroom. Each of the suites within the hotel offers something different but all of them are perfect for those looking for something special. Save up to 15% on the hotel price for holidays with stays until 31 March 2019. Save up to 15% on the hotel price for holidays between 01 April - 31 October 2019 booked by 15 April 2019 (minimum stay of 3 nights required). Guests receive access to the water, relax and sauna areas of the spa (max 4 hours) per person per day when staying at least 5 nights for holidays between 01 November 2018 - 31 March 2019. Guests staying in a Junior Suite or Suite will receive access to the water, relax and sauna areas of the spa (max 4 hours) per person per day for holidays between 01 April - 31 October 2019. 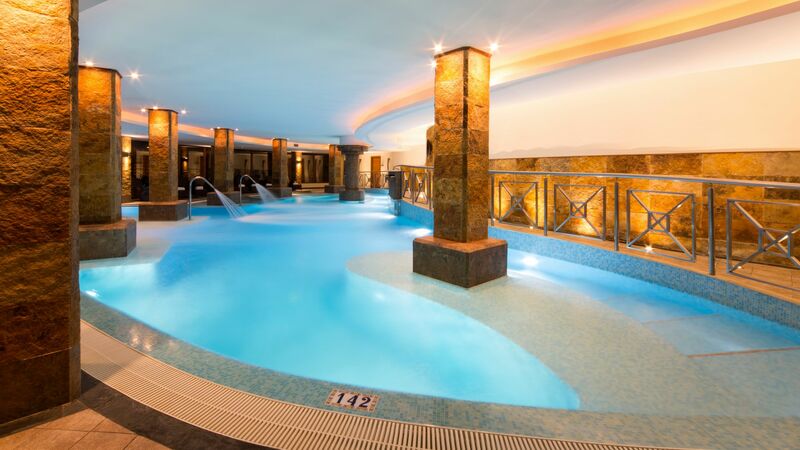 Guests staying in a Deluxe, Deluxe Single Use or Supreme room will receive access to the water, relax and sauna areas of the spa (max 4 hours) per person per day when staying at least 5 nights for holidays between 01 April - 31 October 2019. We stopped for 4 nights in April. We were very happy with our choice of hotel. We had a sea view, with fantastic panorama views of the harbour, castle and cathedral. Room was spacious and clean. The buffet breakfast was fantastic. We ate lunch a couple of times in the hotel, and once in the evening. Pretty good both times. The outdoor pool and grounds well kept (water was freezing!! So couldn't comfortably swim in those pools) But the indoor heated spa pool was a great alternative. Staff were friendly and welcoming. The hotel is high up in a hill, so be prepared for some excersise if walking everywhere. We tended to walk to wherever we were going in the morning and get a taxi back. Taxis are reasonably priced. We stayed here for a two night stay at the beginning of March 2019. The hotel is lovely, it was just a shame we didn?? ?t get to use more of the facilities. The reception staff are excellent, on check in we were offered an upgrade to a sea view room for an extra ?? ?20 and we are so glad we did. The room was large, well appointed, the bathroom was clean and with lots of accessories. There was even BBC tv! The view was stunning and well worth the small extra cost. The pool area is stunning and very clean. It?? ?s worth knowing that the hotel is set back up on a hill and a good 40 minute walk to Palma central, but only a 5 minute taxi ride for less than ???10. But being on a hill gives you those amazing views. Recommended if you like a high quality hotel at a reasonable price. Back again in Late Jan 2019 for another quick break and as usual quite outstanding..I have yet to find another hotel that is as clean and well appointed as this one however far we might travel. At some ? ?440 for 3 nights (package) including flights from Bristol is an absolute bargain and so it proved to be. You need to make your own way to the hotel by either taxi or bus or other means all of which are reasonably priced. Do not ask the hotel to arrange it for you as this will cost plenty! The excellent (free 4 hours per day) Spa is very clean, warm and has every type of spa 'effect' that you could wish for. The 24-hour available gym is also on hand and again is of a very high standard should you wish for that sort of thing. Bedrooms are exceptionally clean, well appointed and have every luxury. The swimming pool inside is very clean and warm and there are two outside pools although cold at this time of year!! There was nothing we could find at all to complain about at this hotel. The grounds are wonderful even in the winter and the staff very helpful. So, what about the 'small print'? I suggest you book a package for breakfast if you eat it as to buy it daily will cost around 28 euros pp and is quite ridiculously priced. get it included in your package to save yourself money. The Bistro (opp the restaurant ) is good, fairly priced and is the better place to eat in any case although they do not serve breakfast. The hotel is at the top of a hill so if you do not wish to tackle the hill on foot then a taxi will cost you around 10 euros (one way) into town or there is the bus at about 3 euros. Treatments are obviously not included in visits to the spa and are expensive but (guys) you will get many brownie points from the ladies should you wish to splash out on her !! Back again later in the year? you bet !! Lovely grounds and great swimming pools. Very clean and nicely furnished. Helpful staff. Very nice hotel rooms and bathroom was really pleasant. Lack of tea and coffee making facilities in the hotel room.The rooms at the back of the hotel are overlooking the tennis and paddle board courts...noisy early evening. A bit far from everthing. We didn?? ?t like the food in the bistro. Also, I thought the hotel was pretty expensive, but it is a 5 star hotel to be fair.